A couple of weeks ago we were able to tour the incredible and spacious 2-level Presidential Suite at the Walt Disney World Dolphin Resort (below, left). The balcony itself was one of the largest I’ve ever seen for one resort suite, you can see it in the photo (below, right), spanning much of the Dolphin at it’s highest room level (above the suite there are windows but no real rooms). 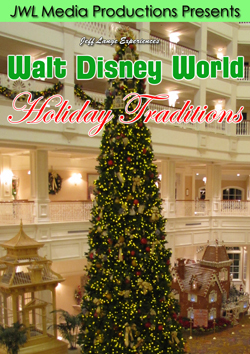 Experience the splendor of the holiday season at the following Walt Disney World resorts! Disney’s Animal Kingdom Lodge Kidani Village – Sun-soaked hallways are accented by multiple Christmas trees downstairs. Set your eyes on the beautiful lobby tree featuring unique butterflies with wings that open and shut when a breeze catches them just right. View yet another elegant Christmas tree next to the crackling library fireplace. Disney’s Animal Kingdom Lodge Jambo House – Decorative deer flank the entrance sign outside. The breathtaking lobby features a majestic tree with African themes and holiday garland that drapes over the hallway corridor railings. Disney’s Coronado Springs Resort – Resplendent white garland greets you at the entrance, which leads into the foyer with a fountain and Christmas trees. The lobby features the large grand tree, and a hallway features miniature trees on each window that lead from the foyer to the restaurants. Disney’s Beach Club Resort – Festive garland wraps around the light poles outside, while an incredible carousel display beckons you into the lobby. You can almost smell the gingerbread as the camera pans over each horse, each display piece, and around the carousel that is designed in exquisite detail. The horses each have a theme, and Disney characters in holiday poses will delight you! 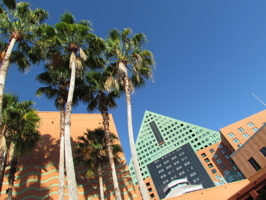 Disney’s Yacht Club Resort – The nautical theme starts before you enter into the resort! Once inside, you’ll linger on the unique Christmas tree that features sailboats and other seafaring decor. The focal point for the lobby is the magnificent train display that centers around a seaside village. Disney characters, signs that incorporate the names of Yacht Club restaurants and shops, and so many meticulous details make this a display to remember. Disney’s Boardwalk Resort – Gaze upon the Christmas tree that stands outside the resort. Inside the lobby, you’ll find a whimsical gingerbread display that features Stitch as a chef, Daisy with her Christmas list, and Donald with blackened tail feathers from his trip down the chimney! 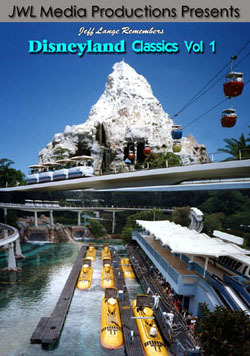 A train with cars named for restaurants and shops at the resort circles the display. Disney’s Grand Floridian Resort – Experience the grandeur of the resort from a distance. Antique cars and chestnuts roasting on an open fire meet you at the entrance. Decorative deer flank the walkway, which leads into the elegant lobby filled with garland, a lavish Christmas tree, and the sumptuous gingerbread house that features real smoke from the chimney! Brilliant poinsettia’s surround the outside fountain that is seen from several viewpoints. Fort Wilderness Resort & Campground – Sleigh rides begin at the Settlement, with three magnificent horses beginning their journey through the campground! The many amazing displays around the campsites include a wide variety of Disney characters as well as a detailed train set. You’ll even get to see Santa with his carolers as they ride past you on a horse-drawn wagon! Disney’s Wilderness Lodge – The warmth of the Lodge is emphasized by the glorious decor found in the lobby. Decorative deer sit above the entrance, a bear family waits to be photographed with guests, and the small bridge is adorned with lush garland. The centerpiece of the lobby is the breathtaking tree, enhanced with Native American inspired ornaments. You’ll also take a brief look at the elegant tree inside the Villas at the Wilderness Lodge. Disney’s Polynesian Resort – Tiki torches light your way around the lobby, which features lush waterfalls, garland, holiday wreaths and a Christmas tree. 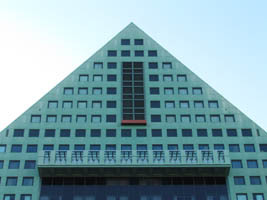 Disney’s Contemporary Resort – An enormous, lit wreath can be seen from a distance as it sits above the monorail entrance to the resort. Inside, a Mary Blair inspired gingerbread display features a giant Christmas tree with presents underneath. A beautiful view of Cinderella Castle can be seen through the wreath from inside. Bonus: Walt Disney World Dolphin – A soaring Christmas tree graces the lobby of the resort, with a large scale train set circling it. Chestnuts are roasting outside, while the beautiful fountain dances nearby. 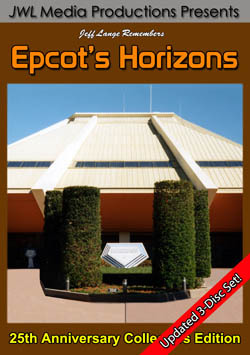 Bonus: Walt Disney World Swan – The rotating door at the entrance features decorative trees that rotate with it. Graceful swans are draped with garland around the indoor fountain. The highlight of the seasonal offerings is an impressive Santa display that is nearly entirely made of chocolate. From the Christmas tree, to the presents, to the life-size chocolate Santa Claus, it’s an incredible and unique display that won’t soon be forgotten. 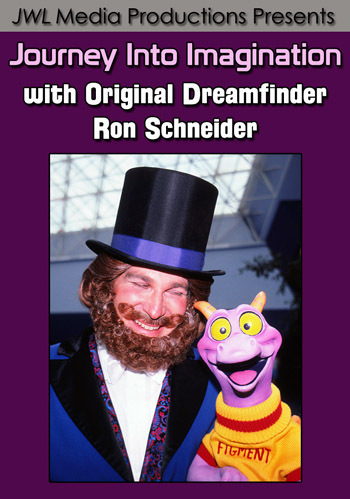 Relive these special memories year after year or enjoy the magic for the first time by purchasing “Jeff Lange Experiences: Walt Disney World Holiday Traditions”. 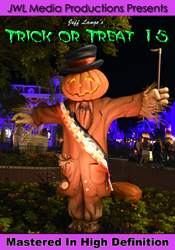 I was able to see some of the more popular holiday and Christmas displays yesterday around the Boardwalk resort area. 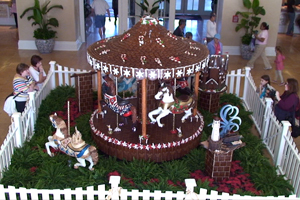 The first display I visited was a gingerbread carousel at the Beach Club Resort, which is in it’s 10th year (below, left). 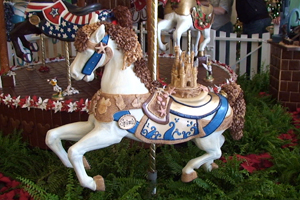 Tinker Bell sits atop the carousel (below, right).